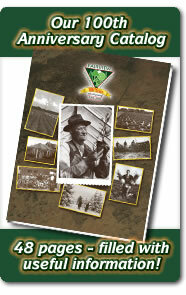 In 2011, we proudly published our 100th Anniversary Catalog. Click below to download a pdf file of the catalog. Please note: the catalog pdf is 3.2mb in size so it may take some time to download depending on the speed of your internet connection. Click here to access our 100th Anniversary Catalog (3.2mb). To request a copy of our current-year catalog, click on the Contact Us link and check the box for Fairview Evergreen Catalog, along with your contact information, and then click on the Submit button at the bottom of the page.